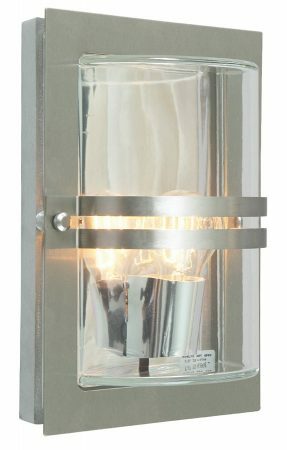 This Norlys Basel outdoor wall light in stainless steel with Art Deco style and rated IP54 is available with clear or frosted glass. Manufactured by Norlys, a Norwegian manufacturer who offer an unrivalled guarantee of 15 years against corrosion. Made to withstand tough weather conditions – even in coastal areas were salt will normally corrode your outdoor lights. Featuring a rectangular cast aluminium wall mount, thick deep curved glass fascia, stainless steel outer shade retaining frame, with dual front band. 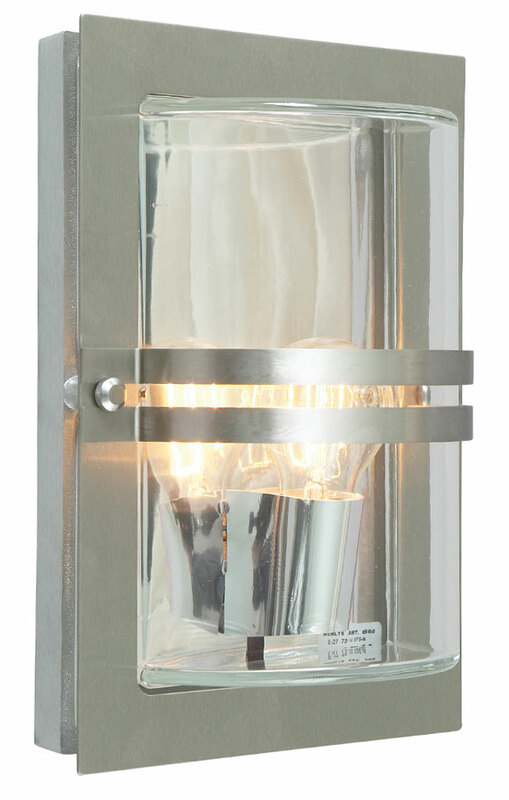 A lovely Art Deco outside light in 316 stainless steel that oozes quality and character. Norlys recommend oil be applied to the fitting from time to time to ensure the long term beauty of the fixture. If you are searching for quality outdoor lighting to complement your 1920’s or contemporary home, this stainless steel wall light should be considered. Fully weatherproof and supplied with a manufacturer’s 15-year anti corrosion warranty, which relates to the corrosion of finishes on exterior lights like this one. Please note: This light is available with clear (BASEL E27 S/S C) or frosted (BASEL E27 S/S F) glass as shown in the images. Please indicate your choice in the special instructions box during the checkout process. 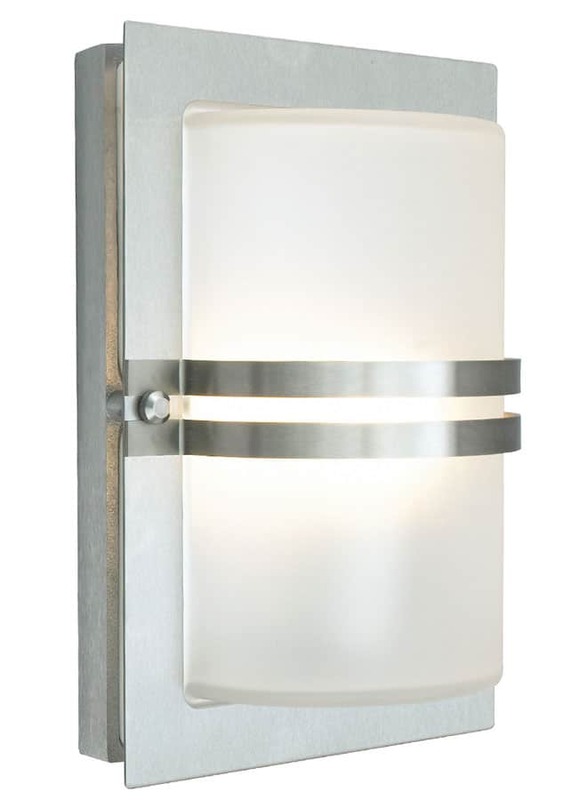 This exterior light is supplied by Elstead Lighting and manufactured by Norlys, a Scandinavian company with 50 years experience in the design and manufacture of exterior lighting designed to withstand tough climatic conditions, such as the Basel outdoor wall light in stainless steel with Art Deco style and rated IP54 you see here.